PhotoView: Take pictures of the inside or outside of an existing house and easily add design features and details. Select from an extensive library of door and window styles. Customize the size, grille style, and other parameters to fit your plan. Dynamically edit within elevation view. Elevations can be viewed as line drawings, shaded line drawings,full colour and more. Design buildings up to 20 stories high. Start Your Interior Design Project! PhotoView: Take pictures of the inside of an existing house and easily add design features and 3D elements. Thousands of objects for every part of your design, inside or out. Remodel with new fixtures, lighting, ceiling fans, sinks, appliances and more. Try tile, carpet, wood, stone, and other materials including brand name, real-world products. Add predesigned furniture groups with simple drag & drop. 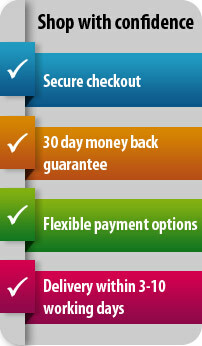 Easily arrange or edit your selections to suit your design. Add functionality and drama to your design. Works with exterior and interior designs. Precision controls for ambient light, shadows, fall off, radius, and more. Drag & Drop landscape light fixtures. Customise your cabinets with shelving, pantries, drawers, and appliances. Also perfect for media centers, bathrooms and garage organisation. Gain more closet space by planning an inexpensive wire shelving system or lay out a garage that makes the best use of space, yet keeps things organised and within reach. Drag & drop shelving, workbenches and cabinets are included in the library. Start Your Landscape Design Project! QuickStart: Drag & drop individual rooms to easily create your basic floor plan and begin designing your landscaping. PhotoView: Take pictures of the outside of an existing house and easily add outdoor design features and 3D elements. Use a photo of your home and design landscaping, decks and pools around it. Site-planner automatically draws your property line, as you enter the coordinates, then exports your lot into your landscape design. Add real-world topography to your building site. Trace over your topo lines. Automatically cuts or adds fill and building pad to your design. Zone-specific plant groupings with simple drag & drop placement. A variety of shapes for freestanding corners and more. Includes a full selection of flowers, shrubs, and trees you can add to your design. You can also add your own favourite plants to the database! Plan smart! Plan your design and see it grow over time. Perfect for previewing shade. Set scientifically precise lighting angles based on your position on earth, the date, time and daylight savings time. Powerful tools let you design and lay out a complete irrigation system. Place sprinkler heads backflow valves and rain sensors and connect everything with water lines. Complete your design with zone objects that allow you to quickly annotate your irrigation zones. Start Your Deck and Patio! QuickStart: Drag & drop individual rooms to easily create your basic floor plan and begin designing your outdoor space. PhotoView: Take pictures of the outside of an existing house and easily add design features and 3D elements. Turn a drab backyard into outdoor entertaining space with included objects for kitchens, fireplaces, furniture, and more. Add pavers, decks, and landscaping to your design. Predesigned, drag & drop, editable designs you can use as is or customize to your personal style! To improve speeds and download large programs, it is recommended you use a download manager to avoid any interruptions or unexpected computer shutdowns. 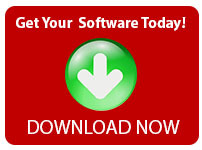 Please use a download manager or visit: http://www.freedownloadmanager.org/ to download a copy. Macintosh® OS X 10.9 or higher, Intel® Core™ Duo processor or faster, 256MB VRAM, 3.5 GB Hard Disk Space, 1GB RAM, DVD-ROM, 1024x768 millions of colours display resolution, keyboard, and mouse.